You may have noticed all the pretty badges that have appeared in the right pane of my blog; they represent the awards that you have kindly bestowed upon me and that I have accepted, in complete violation of the rules that say you have to actually DO something to accept them. Well I've been trying to write this blog post for weeks now, in which I acknowledge your nominations and do what I'm supposed to do in order to accept them. But I just can't do it. All of these awards have rules, and as much as I try I just can't seem to bring myself to follow them. But the purpose of all the awards is to build community, so I will attempt to do that in my own nonconformist way. For the lovely Liebster award, I'd like to thank Lori of What Remains Now and Matt of The Pitbull Palace. 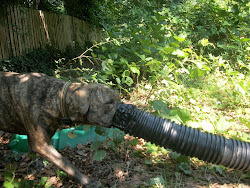 Lori is the rescuer of two retired greyhounds and an incredibly creative person. 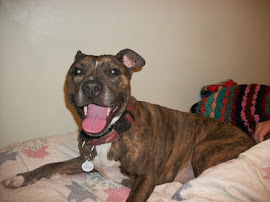 Matt advocates for pit bulls and does excellent work to dispel the myths associated with this misunderstood breed. Go check them out and see all the good they bring into the world. Now I think someone else, some months ago, may have also nominated me for the Liebster award, but darned if I can remember who you are! Who was that masked woman/man, that generous purveyor of awards, that mysterious priestess (or priest?) of things manifesting a liebsterlike splendor? Whoever you are, I salute you. 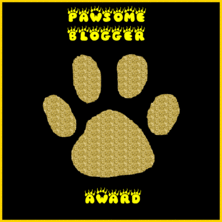 For the Pawsome Blogger Award I owe my gratitude to Pup Fan, a blogger who is no stranger to Pawsomeness herself. Pup Fan's true identity has been admired and discussed by other bloggers in other places--notably, by the similarly Pawsome Pamela of Something Wagging This Way Comes--so I won't delve into the mystery of who this Pup Fan really is. 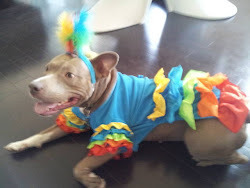 I'll just send her a wag and suggest you head on over to her blog when you're in the mood for a laugh, a ridiculous pop culture reference, or a conscientious post about a deserving adoptable animal in the Northern Virginia area. 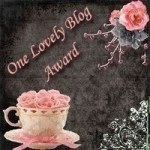 Hawk AKA Brown Dog found me worthy of the One Lovely Blog Award. 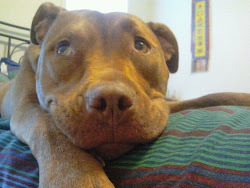 Hawk is a beautiful Brown Dog who posts about her life in the Southeastern U.S. and does some fantastic advocacy for rescue dogs in need. Stop on by and see what she's up to! 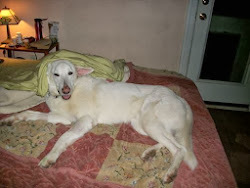 The You are an Inspiration Award comes from Pamela at Something Wagging This Way Comes, who writes a very thoughtful and thought-provoking blog about her sweet retriever Honey, with many gems about life, good books and movies, and dog training. Check it out when you get a chance. And just to show you how long I've been slacking on the award-recognition front, last August or so Jen of the Inu Baka blog, which is now the lovely Volunteers4Paws, nominated me for the Seven Links Challenge. I am hoping that all of my posts are in their own way beautiful, popular, controversial, helpful, successful, worthy of pride, and yet somehow underappreciated. Which is a fine set of characteristics for which to strive in all our endeavors, isn't it? Now I know I'm supposed to pass each of these awards on to other lucky blog hosts, who will then fret, stew, or rejoice--depending on their personalities--over the challenge/ opportunity. 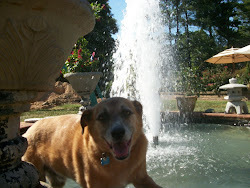 Instead, I'm going to use this time to send you over to Barbara's blog and ask you to send her some love and support, as it sounds like she's struggling with all sorts of mortgage nasties as well as two torn ACLs that her sweet Minnie needs fixed soon. You guys are all so great! This community's so great about coming together and helping each other through tough times. 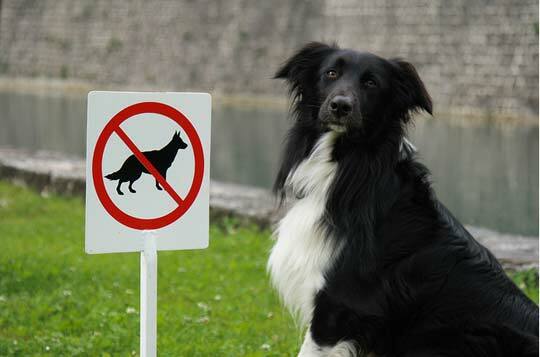 We love Peaceful Dog! Congratulations on your awards. You deserve them. Very deserving on the many awards, congratulations!! Congrats! Your acknowledgement, well said! I still have more "award response" posts in my drafts waiting to be finished. I getcha. Congrats on the awards! I'm awful at passing them along, too! With you all the way - happy we found you via a Blog Hop. I, too, have languishing awards... :(. Peace. Wow...Congratulations on all your awards! Thanks for the kind words, Kirsten. I love your non-conformist approach to awards. Congrats on all of your awards! And thanks for stopping by. It's nice to meet new friends!